From today until the 16th of February, the 2013 instalment of the Tour of Oman is running around Muscat and surrounding areas. 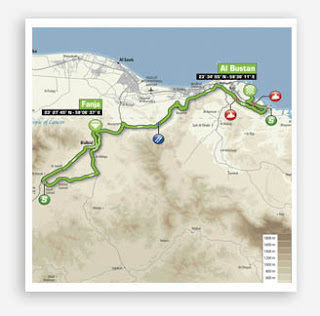 Its grown pretty big and now has 144 cyclists participating in the race from elite teams from all over the world. Most notably for Brits is that Wiggo (Sir Bradley Wiggins) is participating with his Sky Procycling team. It all kicks off at noon today with Stage 1. 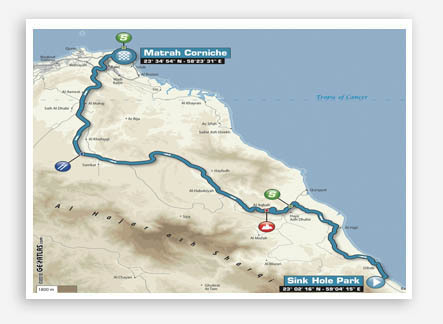 The Tour of Oman has become a pretty high profile and seriously taken "pre season" event, as evidenced by the worlds best cyclists coming and racing each other here. I'm not sure if any of it will be televised but I hope so. 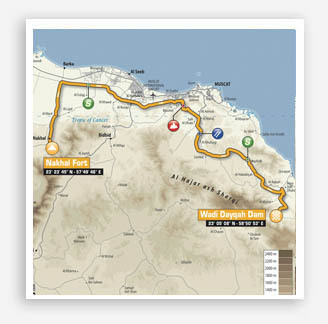 So now you know the routes, and the times, so try and avoid those areas unless you want to go and cheer them on!